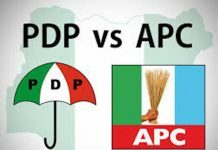 The Supreme Court Thursday sealed the All Progressives Congress’ (APC) hope of bouncing back to political reckoning in Rivers State, dismissing its three appeals, which challenged the decision of the Federal High Court, sitting in Port Harcourt, the state capital, that nullified its primary elections for the 2019 general election. INEC on the strength of the high court and the Supreme Court’s judgments delivered earlier in the year had excluded the APC from fielding candidates for the general election held in the state on February 23 and March 9. The apex court dismissed the appeal filed by the APC praying it to set aside its earlier judgment that upheld the decision of the lower courts, for lacking in merit. A seven-member panel of justices of the Supreme Court led by the Acting Chief Justice of Nigeria (CJN), Justice Tanko Muhammad, in a unanimous ruling held that the APC’s appeal was defective, incompetent and should be struck out. Respondents in the appeal marked: SC 295/ 20019, are the PDP and INEC. The APC in a notice of appeal, argued by its counsel, Mr. Jubrin Okutepa SAN, had urged the apex court to depart from its previous decision that held that the APC cannot field candidates in the just concluded general election on the grounds that its appeal against the decision of the Court of Appeal, Port Harcourt Division was academic having been filed out of time. Okutekpa’s grouse was that the restraining order from the Rivers High Court was fraudulently obtained. He also urged the Supreme Court to invoke section 22 of the Supreme Court Act to set aside the judgment of the Rivers State High Court, which barred the APC from participating in the general election on the grounds that it did not conduct a valid primary election. 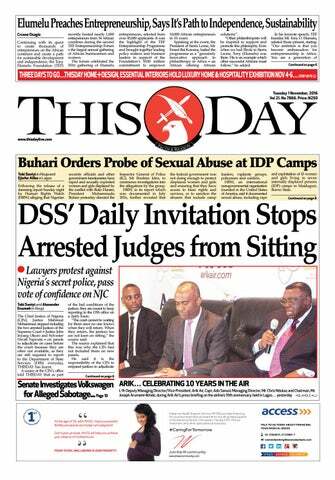 However, counsel to the 1st respondent, the PDP, Mr. Emmanuel Ukalla SAN, however, in a “Notice of Preliminary Objection,” urged the apex court to strike out the appeal or dismiss it in its entirety for being incompetent. According to Ukalla, the appeal was defective on the grounds that the appellant had asked the Court of Appeal for reliefs it ought to have sought for at the Supreme Court. Ukalla while insisting that the appellant does not have any valid appeal before the apex court urged the Supreme Court to uphold its preliminary objection and dismiss the appeal for lacking merit. Delivering ruling on the preliminary objection, the seven-man panel agreed with the submissions of the PDP lawyer that the APC’s notice of appeal was incurably defective and incompetent. Justice Muhammad in the ruling struck out the notice of appeal and accordingly dismissed the appeal. Meanwhile the apex court yesterday also dismissed two other appeals filed by the APC and its factional governorship candidate, Mr. Tonye Cole, for being incompetent. The appeals are SC/266/2019, filed by APC, with Magnus Abe and others as respondents, and SC/267/2019 filed by Tonye Cole, with Magnus Abe and 48 others as respondents. The apex court had in February this year, while delivering judgment in the main appeal on the contentious issue that emanated from the congresses and primary elections of the Rivers APC dismissed the appeal on the grounds that the appeal was statute barred. The court had in a unanimous judgment delivered by Justice Amir Sanusi, agreed with the respondents led by Mr. Ibrahim Umar, that the suit was a pre-election matter and that the appeal filed by the APC was done outside the 14 days required by law. The Supreme Court consequently struck out the appeal for being statute barred and having becoming an academic exercise. Counsel to the APC, Mr. Lateef Fagbemi SAN, had argued that the suit that brought the appeal was not a pre-election matter. Umar and 22 others believed to be loyal to Senator Magnus Abe had filed a suit at the Federal High Court in Port Harcourt to challenge their unlawful exclusion by the Rotimi Amaechi faction of the APC from participating in the congresses of the party designed to produce delegates for the primary elections. Justice Chiwendu of the Federal High Court had in his judgment upheld the claims of the group and barred the APC from proceeding with the conduct of the congresses and the primary election. 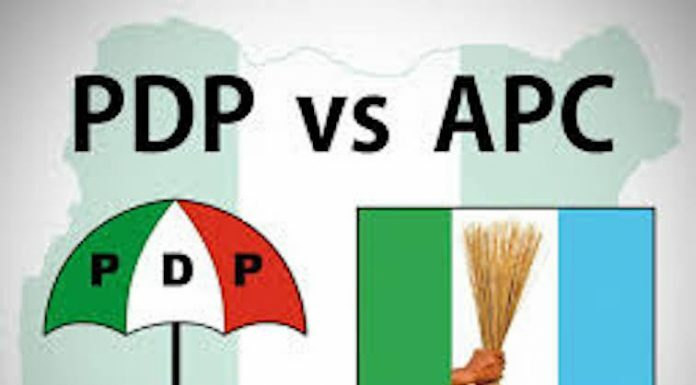 The APC, however, went ahead with the primary election and later appealed against the decision of the trial court at the Port Harcourt division of the Court of Appeal. At this stage, the Rotimi Amaechi faction, led by Tonye Cole, sought to join in suit but were refused by the Appeal Court on the grounds that they were not parties at the trial court. 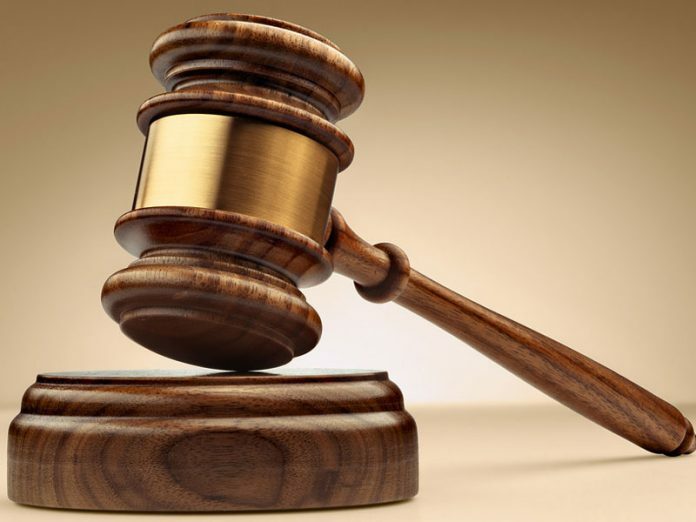 Only last Monday April 8, the Supreme Court also struck out the appeal filed by Senator Magnus Abe seeking the apex court’s pronouncement on the authenticity or otherwise of the direct primary conducted by the APC in Rivers State for the nomination of its candidates for the 2019 general election. The apex court in striking out the appeal, held that the notice of appeal filed by the senator representing Rivers South East at the upper chamber of the legislature was defective and not in compliance with the rule of the court. Acting CJN Muhammad, who delivered the unanimous decision of the seven-man panel of justice of the court, held that the notice of appeal was defective because it did not contain the names and titles of parties in the matter. The panel in a unanimous judgment delivered by the acting CJN also held that the notice of appeal offended section 285 of the 1999 Constitution as amended since the amendment cannot be done to the notice of appeal in view of the fact that the 14 days required by law to file the appeal had expired. 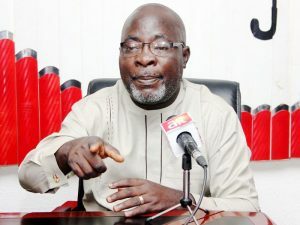 Senator Abe, who is a factional leader of the Rivers APC, prayed the apex court to make a final pronouncement on the legality of both direct and indirect primary polls conducted by the two factions of the party last year. The PDP immediately hailed the judgment as vindicating it, its candidate, Governor Nyesom Wike and the people of Rivers State. 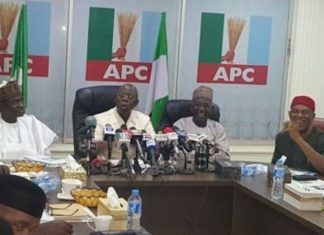 The party in a statement Thursday by its National Publicity Secretary, Mr. Kola Ologbondiyan, said that the judgment signifies the final triumph of the will of the people over the ‘manipulative forces’ in APC, who it said had been deploying all manner of underhand dealings and violence, in their desperation to forcefully take over the control of the state. The PDP expressed confidence that just as the will of the people of Rivers State has been preserved, its presidential mandate, which it said Nigerians freely gave to its candidate, Alhaji Atiku Abubakar, on February 23 would also be retrieved at the tribunal. The party, therefore, charged APC leaders to note that they have come to the end of the road and that though evil may thrive for a moment, truth, justice and the will of the people would always prevail. The Rivers State chapter of the PDP also said the judgment has once more heightened the dignity of the apex court as the last hope of the common man. 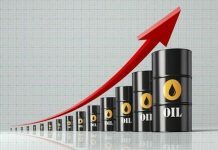 A statement by the state Chairman, Mr. Felix Obuah, noted that having exhausted all avenues of defusing the choice of Wike by the mass of Rivers people and failed, the APC has no choice but to acknowledge the obvious fact that the re-election of Wike has divine endorsement and should joyfully join the rest of the people in the divine mandate. Reacting to the judgment Wike called on the Minister of Transportation and leader of the APC in the state, Amaechi, to join hands with him to develop the state. In a state broadcast to mark the judgment, Wike said Rivers State stands to benefit more if all leaders are united. “I therefore appeal to the APC and the Minister of Transportation to join hands with us to move our dear state forward. We cannot as leaders continue to remain divided and expect government to deliver on its responsibilities to our people. Let us henceforth seek the common ground instead of allowing our differences to be exploited to retard our march to progress. 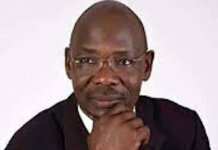 He directed the State Attorney General and Commissioner for Justice to review all pending criminal cases linked to politics before the 2019 elections and make necessary recommendations to promote reconciliation. Wike also pledged to run an inclusive government aimed at promoting the developing the state. “We have come along way in the last four years and accomplished a lot to be proud of. But there’s still a lot more to do to advance and realise the ultimate vision of our founding fathers for a truly united, secure, and prosperous state and we need the support of all our people to realize this bold vision. 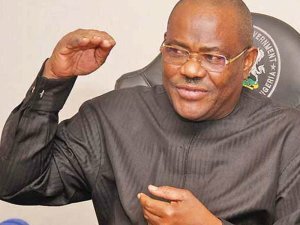 He expressed gratitude to God for the judgment and assured Rivers people that with the judgment all legal tussles have come to a close with the people having nothing to fear.